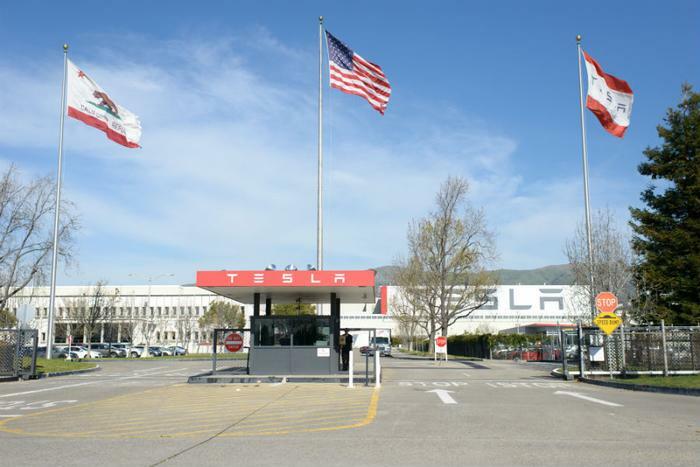 A Tesla employee testified at a National Labor Relations Board (NLRB) hearing on Monday and said that he was asked by a supervisor and company security guards to leave the factory after handing out pro-union leaflets to colleagues back in February. The hearing sought to determine whether the electric car maker had violated federal safeguards for employee activity. If Tesla loses its case with the NLRB, the company could be forced to notify employees that it was found to be committing unfair labor practices. This would involve revoking any disciplinary action taken against employees involved in the unionization efforts. Tesla has described the allegations as an effort to paint Tesla founder and CEO Elon Musk and the company “in a negative light.” Tesla's general counsel Mark Ross asked for a "standing objection" to "any mention of Mr. Musk," but Judge Amita Tracy denied his request. In May, Musk tweeted that he had not done anything to prevent workers from unionizing. “Nothing stopping Tesla team at our car plant from voting union. Could do so tmrw if they wanted,” Musk tweeted on May 20. At the hearing, Ross named about two dozen other allegations against Tesla that were found to be without merit and dismissed. “The fact of the matter is that Tesla is a company that values its employees,” Ross said in his opening remarks. Lawyers representing the union accused the company of violating the federal law that protects organizing activity. "What we see is a very heavy-handed, anti-union campaign that's affected all levels of workers’ everyday lives," said Margo Feinberg, attorney with Schwartz, Steinsapir, Dohrmann & Sommers in her opening remarks. Michael Sanchez -- a production associate who has been with the company since 2012 but is currently on medical leave and suing Tesla -- said he was handing out pro-union flyers outside the factory on Feb. 10, 2017 when a security guard approached him. Sanchez said the guard left initially but returned a few minutes later demanding to see his badge. The guard photographed Sanchez’s badge and again told him to leave the facility. A second guard asked if the flyers were for a union. “He said, ‘Unions are worthless — you shouldn’t join one.’ I said, ‘That’s your opinion,’” Sanchez recounted. The case comes as Tesla struggles to ramp up production of its latest car, the Model 3. The hearing will continue for the rest of the week and resume in late September.